What Is A Wide Area Network (WAN) and How Does It Work | GUI Tricks - In Touch With Tomorrow! What Is A Wide Area Network (WAN) and How Does It Work - GUI Tricks - In Touch With Tomorrow! By a Wide Area Network (WAN), it means a computer or telecommunications network that covers a large area geographically. Based on leased telecommunications circuits, Wide Area Networks are used by institutions to communicate across great distances. One of the best examples of a WAN is the internet. Even on the moon, there is the internet to exchange information. 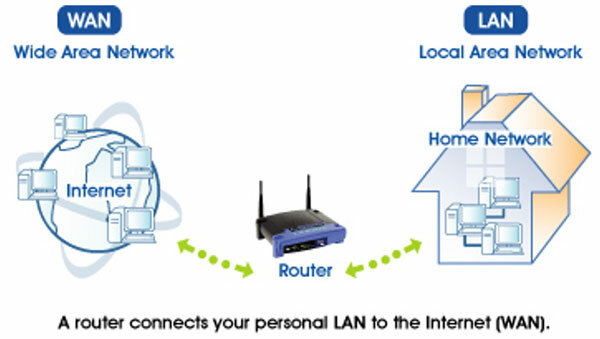 A WAN differs from other network setups such as metropolitan area networks (MAN), local area networks (LAN), personal area networks (PAN) and campus area networks (CAN) which cover smaller areas. Among the firms most known for its exemplary WAN services is Software Defined WAN. Software Defined WAN serves large amounts of clients from across the world with great services on their list. A closer look at WANs reveals that they do not exist on their own like the other area networks. For example, a local area network covers a restricted geographical area such as an institution. In an urban setting, there are the metropolitan area networks that will cover the extent of the metropolis. To create a Wide Area Network, these various types of area networks must link up to cover an increasingly wider area. To enable this communication, the networks must work together. If a university, for example, wants to create a link with another university across the globe, the two have to create a link between their servers and their individual local area networks. A WAN can operate through various channels including radio wave transmission, telephone lines and fiber optics. Radio wave transmission works in the same way mobile phones work today. It is the best wireless communication at the moment with most communication taking place this way. The data transfer over radio waves has been tremendously improved as the time goes by. Circuit switched telephone lines are also commonly used between certain institutions over long distances. The last option that of fiber optics, is one of the most used today. It allows the transfer of data between the greatest distances at the speed of light. Most firms are resorting to the use of fiber optics due to the fact that it is very reliable. It has the highest data speeds given that the speed of light is the highest ever recorded. The reliability of fiber optics has also made the cost of investing Wide Area Networks economically sound. There exist many types of WANs including ATM machines, Dial-up networks, cable modems, DSL, Leased Line networks, ISDN, X.25, SONET and Software Defined WAN. Of all these, the most diverse one (and one you would like to use) is Software Defined WAN. It offers the fastest, most flexible and cost-effective form of communication between people and institutions no matter the distance. It automatically translates the language between communicating parties to give the users the ability to overcome language barriers. It has enabled many businesses to overcome barriers occasioned by distance and language.